Good snow, fresh snow, no snow, depending where you are this December..
As usual up early and first lifts to ski the cordoroy on Vallons. Timimg it right you can get two decent runs in on a nigh on empty piste. Then third run a bit of side country away from the piste trying to find signs of any snow transforming into soft snow as opposed to hard icy crud! Then back down and into ski tour mode with Les Rando Chiens. Few days ago I cycled up the Granon to see what options there were so this time drove up to around 2,000m and parked up along with many many others who were there on that side of the valley enjoying the sunshine whilst the resort was slowly going into shade. I opted to climb up to La Gardiole at 2,763m rather than the Col de Granon and was suprised to find two groups of ski tourers already up there! Dogs as ever enjoyed it, though I have to admit to having had better descents, snow at best could be described varied. 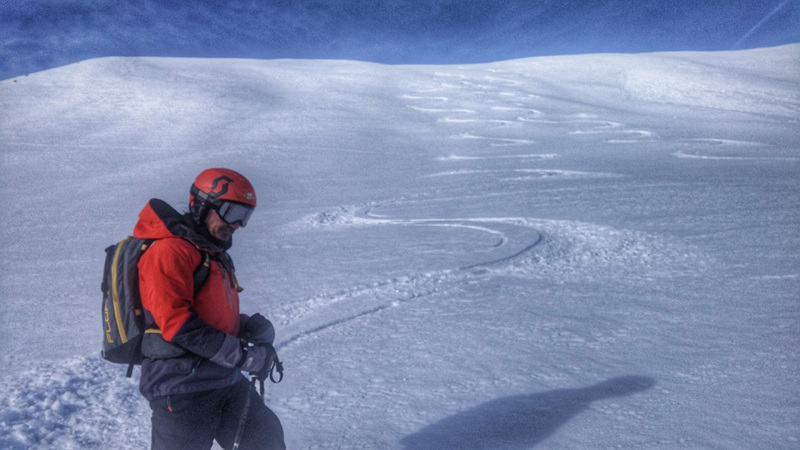 Yesterday, I was more scared on the pistes than I've ever been in the gnarliest backcountry! Out of control Jerrys have taken over the resort so all you can do is try and dodge the hurtling bullets. The only way to have a good ski is to get first lifts, do the corduroy for a couple of hours and back to the ranch to chill. By mid afternoon it's all about queues and sliding down what are now hard packed and icy pistes. Where to go to avoid the Jerrys? Find decent snow that's not skied out or iced over in the shade? Yep, could stay in bed and watch movies - or better still do a ROAD TRIP! 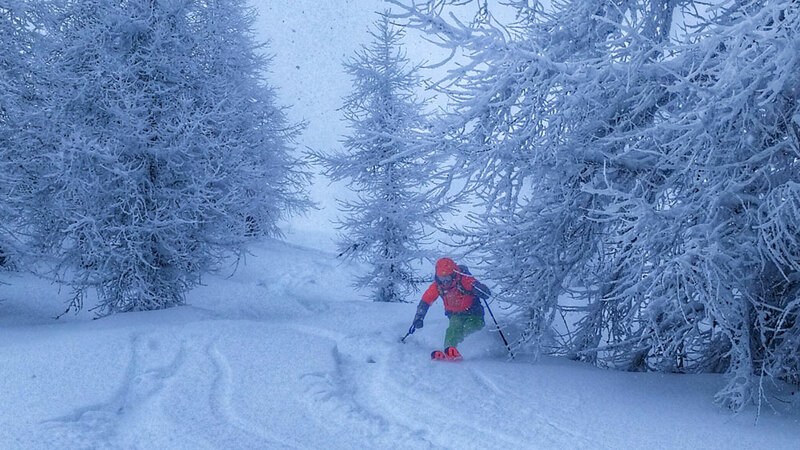 Tech EdItor, Gavin, did his techie thing calculating out angles of sun, adding amount of snow fall, plus miles from Serre Che minus crowds all multiplied by let's get out of Dodge enthusiasm and came up with the answer of a small off the beaten track resort in Italy. And, as it turned out, it was a pretty good solution. Although we didn't arrive until 2pm (as Tech Ed had to do a cycle ride up Granon first, of course), the sun shone on the well groomed, almost empty slopes all afternoon. Pint of beer for anyone who can name the resort - with view from the top of the long drag, below. 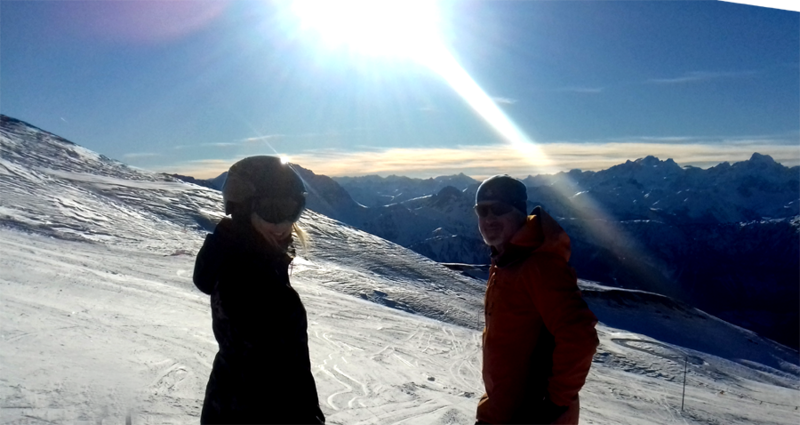 The Christmas lull here in Serre Che when we had perfect pistes to ourselves and even some untracked off piste has been shattered by the arrival of the Jerrys. 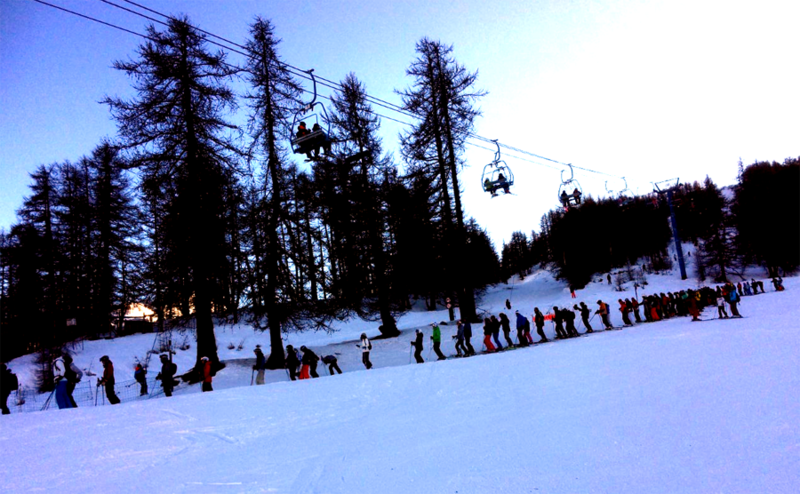 Today the pistes were packed -and hard packed. With Jerrys sliding all over the place on the hard pack icy runs, the pistes are more dangerous than the backcountry could ever be. So, Tech Ed, Gavin went cycling! The temperature's rising and a warmish wind is blowing down the valley here in Serre Che. No snow is forecast till the New Year. But, hey, we're in the mountains. Eat, drink, ski and be merry. Best Christmas wishes from the STYLE ALTITUDE crew! 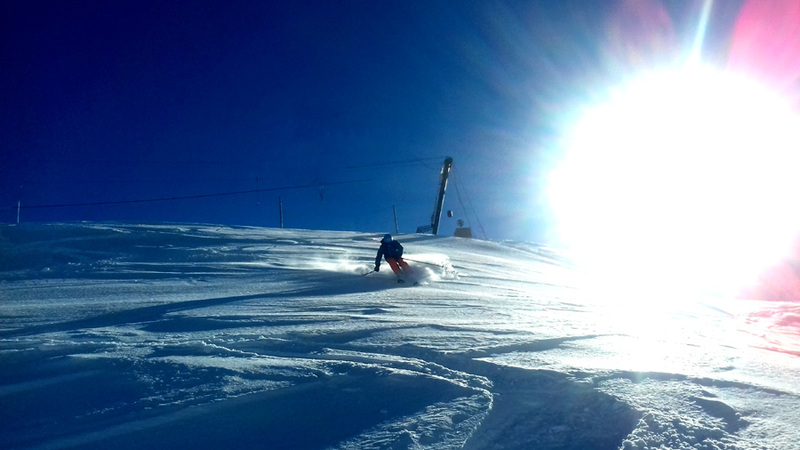 After yesterday it was obvious that there is still some great off piste to be had! But the question was / is where to go to score the best snow? There were three to four possible contenders and we could have so easliy scored an own goal had we carried on as we went over the back, instead after 50ms of bone shuddering boiler plate we turned round and traversed into an area that was less wind affected and we were soon ripping some very nice snow. We carried on down into one of my favourite valleys, before putting the skins on to climb back into resort. Get out the sunnies and sun tan lotion, it looks like it's going to be a sunny Christmas! ROAD TRIP - AND SCORED 40CM FRESH! As ever decisions decisions as to where to go exactly. As we left Serre Chevalier I was quite prepared to drive two and a half hours to the resort that can't be named as the webcam there was showing at least 50+. Montgenevre was looking way better than here, then as we dropped down to Cesana it was obvious that there was more fresh snow the further we drove SE. As we climbed up towards Sestrierre it was getting better all the time, and snowing with people by the side of the road having to put chains on. 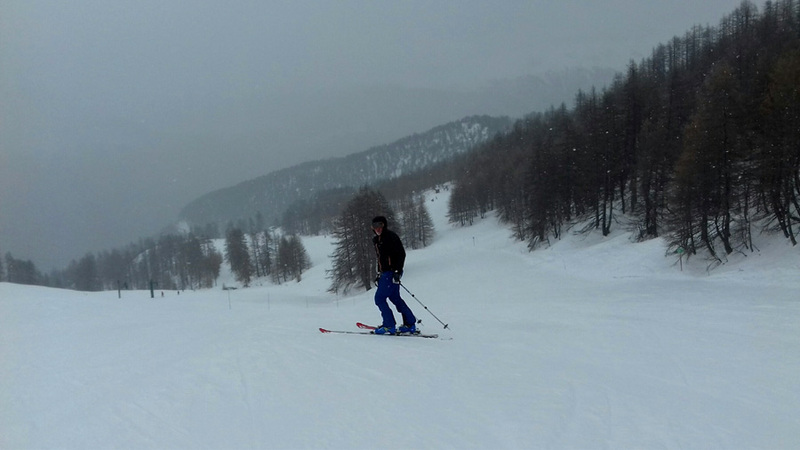 We carried on up and over Sestrierre down to the village of Pragelato where it was snowing really heavy. We were not too sure if the big cable car was operating out of the village but as we neared we could see it running. Luckily as we boarded the cable car there was a local instructor and we had a good conversation with her about various options for the descent back down through the trees, and just as well! Snow was so deep off piste that we had to find steep lines in the trees, whilst some pistes were pisted if you made the mistake of taking an unpisted blue or mellow red you'd have come to a stand still. 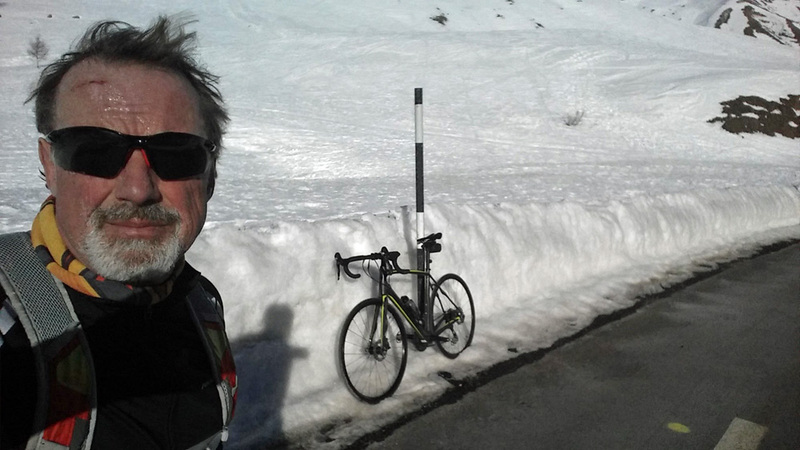 It was staggering how heavy the snow was falling in Pragelato whilst up in Sestrierre it was only a dribble. We spent all the morning skiing lines in the trees as the top sections were not open due to avy risk and visibility was poor. Descent back down in the trees was tough towards the bottom as the snow was quite heavy, the instructor had warned us about not going to far to our left even though it would look tempting as we'd end up down by the river and have a very log walk out. We're on the road, chasing snow. Report tomorrow. 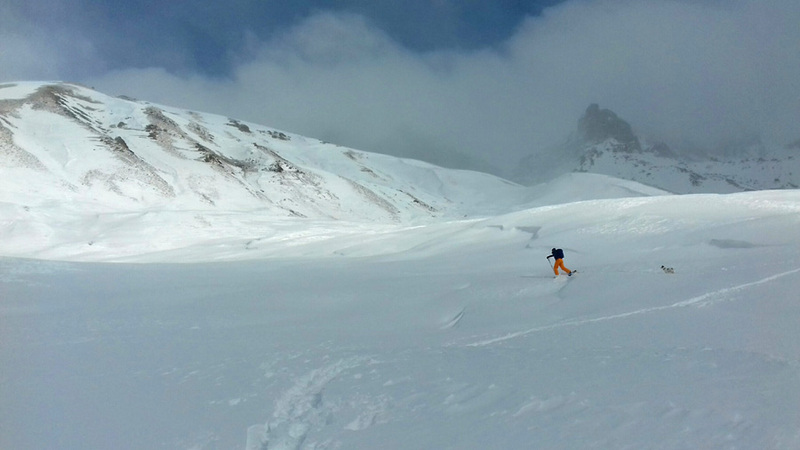 Back from a quick ski tour up the Galibier route. 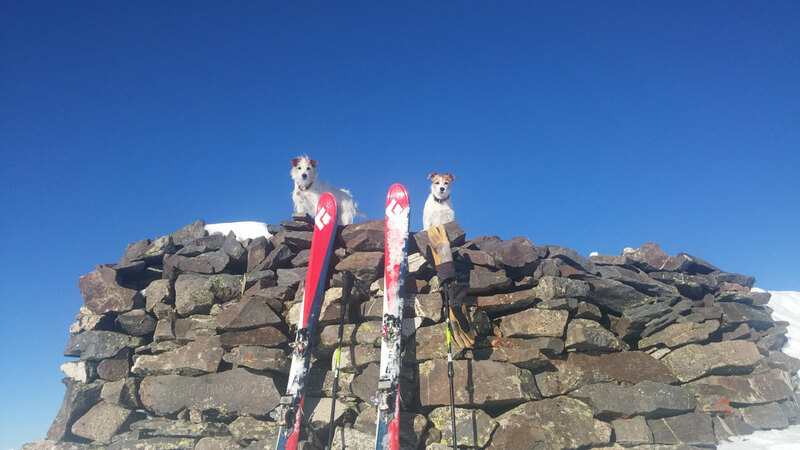 As the first ski tour of the season, it was a good way to test out new kit, get away from the hard pistes AND take the dogs for a walk! It was the first tour for my new SCOTT Superguide boots which were so comfortable and light on the ascent but super stable coming down. And no pressure point or blister. Gav was trying out his new Salomon Mountain Lab touring boots and took his new Vaude ski touring backpack. It was pretty cold and windy so it was a hard call for what to wear - and what to put in the backpack. Not the Jacks, this time, in the backpacks as we didn't go that far but the deep snow and cold temperatures for the distance we went, meant that they were mainly wearing icicles on their beards! It was, also, a good way to check kit after eight months. Gav only remembered that he'd loosened his bindings to service his SCOTT Cascades when he did a superman impression launching into the pow. It's just what the ski resort ordered - a spray of whiteness for the Christmas card effect (see live webcam, below). 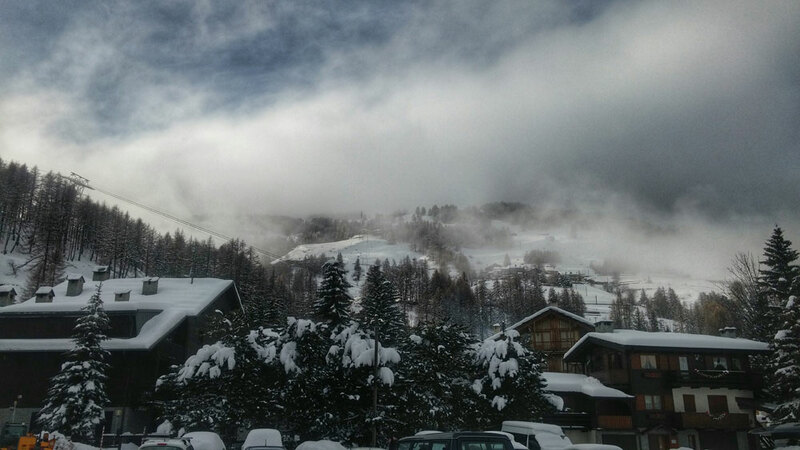 We had all of a couple of centimetres last night but it's changed the vista considerably at resort level in Serre Chevalier. We went up in a gloomy grey vista, yesterday. And there's good snow up there but not enough for off piste. Maybe the snow last night has helped but I think it needs more. The pistes are hard and a tad icy. It's also cold so full winter gear is needed. Here's Gav on the chilly piste yesterday afternoon, telling me to hurry up and take the ******* picture as his hands were """"""" freezing. Yup, we're back at STYLE ALTITUDE HQ in Serre Chevalier for the season (I know, it's a tough life). And the snow here IS better than last year with plenty at altitude and cold temperatures letting the cannons do their work topping up the pistes. But while there's a dusting forecast here for today and tomorrow, our powder hound Tech Editor, Gavin, has sniffed out a much bigger stash that's due not so far away. 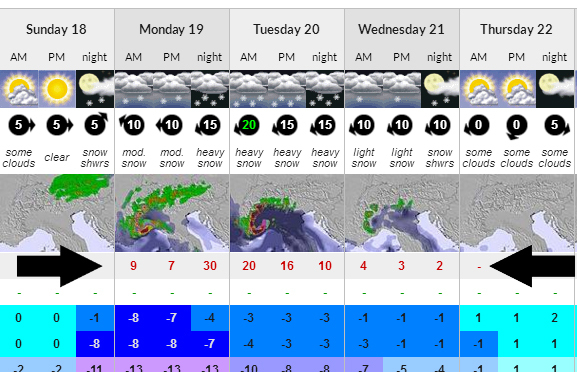 This is the weather chart from Snow Forecast for Abres-Ristolas where it looks like Le Retour d'Est is, once again, giving the Queyras a bumper load of snow over the next couple of days. This is where, last March, Per As, international mountain guide, declared that he had his best day skiing in powder EVER - and this from a guide who's done Japan, Antarctica, Lyngen to name but a few epic pow spots where he's guided plus, of course, La Grave, where he lives.